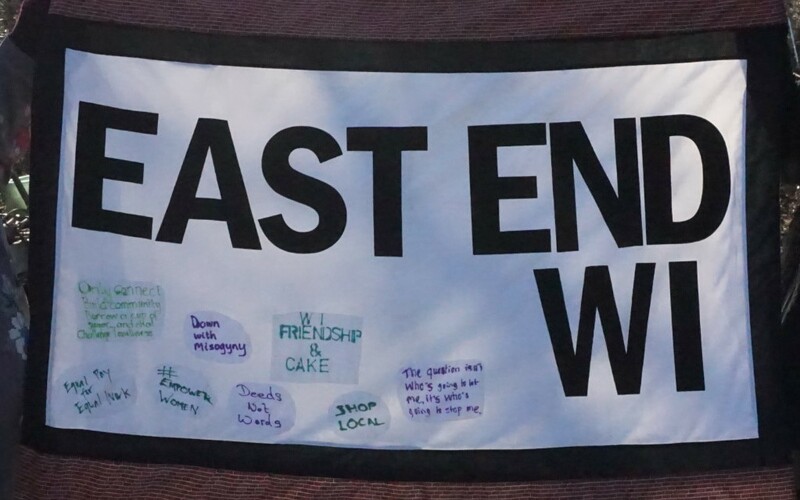 East End WI: how about changing the world next week? Writer, thinker and sewist John-Paul Flintoff is a man after my own heart. His first book, "Sew Your Own" is his story of starting off on a journey to have a suit made, and ending up sewing his own shirts - and lots of other things too. His wife is very funny too about his adventures into making do and mending. Now John-Paul, a member of the faculty of the School of Life, has been thinking about how we can make more of a difference if we want to by changing the world. And we all have something we want to change, don't we? We are the WI after all. If you want to share John-Paul's words and wisdom, join us next Tuesday 16th October at 7.30pm for 8pm start at St Margaret's House, 21 Old Ford Road, Bethnal Green. Refreshments are available, but donations of home baking are always very welcome. You might also want to join in the fun by wearing a little something you sewed yourself, just so we don't leave it all to our speaker. Non-members are very welcome - we just ask you to make a donation of £3 to cover costs. October is also a very good month to join EEWI as you get a recession-busting 15 months membership for the price of 12. What's more, existing members can also bring a guest-for -free this month so we can spread the goodness a little more widely. So bring your mates, have a cup of tea and a piece of cake, and get to change the world a bit(e) at a time. If you want to consolidate your world changing plans, you can share them with us in the cafe at Museum of London Docklands at West India Quay on Friday 19th October, 10.30am (free entry, map here). All welcome - though you will have to pay for your own tea/coffee/cake.